Color on Demand Essentials(C.O.D.E.) 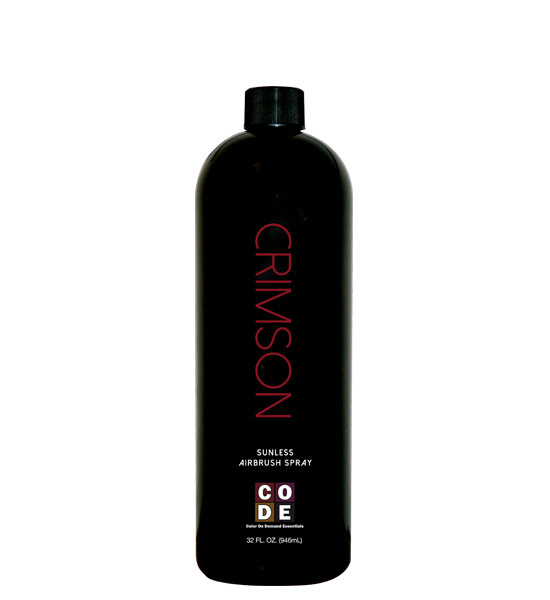 is proud to present their newest Sunless Solution…Crimson! Using a specially developed formula, the Crimson sunless solution will provide you will a flawless sunless tan. Crimson was designed to give deep dark color with reddish undertones for that radiant look you desire. This unique combination of bronzers dries quickly and will produce dark, long lasting color. If you desire dark color then Crimson by C.O.D.E. is the only choice! Fragrance: Notes of Cacao Nibs, Coconut, Blackberry & Elegant Fine Powder.